The next regional Leading Women Conference has been added to the 2019 calendar. Leading Women Dallas will take place at Toyota Motor North America headquarters in Plano, Texas, around the theme: “Take the Lead.” Presenters from within and outside the auto industry will share how they are “taking the lead” to cultivate change, identify and embolden braver leadership and support stronger representation of women in leadership roles. The Automotive News Leadership Academy will make its debut at the conference, with an optional half-day session designed to prepare and inspire female leaders to grow their personal leadership skills and connect with powerful, enduring communities. Previous Leading Women Conferences have sold out, and space at the conference and the Leadership Academy are limited, so we recommend you register very soon. 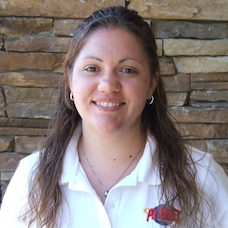 Christa Collins joined Planet Subaru in 2005 as a service administrator after studying design at the Wentworth Institute of Technology. She was later promoted to service advisor and then assistant service manager before earning her current position as service manager. She has created many career opportunities for people traditionally excluded from the car business, including four women technicians, more than any other Subaru dealership in the country. Her formula involves recruiting candidates with exceptional talent who have been overlooked by other companies because they need experience, and then providing them with all the training and mentoring they need to succeed. Jeff Morrill and his brother John founded Planet Subaru in Hanover, Massachusetts in 1998, and Planet Chrysler Jeep Dodge Ram in 2004. They trademarked the motto “undealership” to describe the alternative experience they offer compared to the typical dealership. Their teams have won many awards for sales, customer care, environmental stewardship, philanthropy, and team satisfaction. Planet Subaru is a two-time winner of the Automotive News Best Dealership to Work For award. Mr. Morrill began his career as a service advisor at Don Beyer Volvo in Virginia. 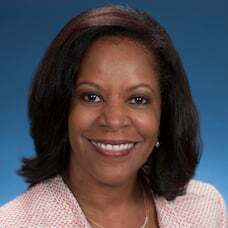 Sandra Phillips Rogers is group vice president, chief legal officer, general counsel and corporate secretary of Toyota Motor North America (TMNA). In this role, she oversees the legal services function for Toyota’s North American operations, Toyota Legal One (“TL1”), and the representation of the company and its affiliates. Ms. Rogers directs the strategy to help Toyota navigate significant business and legal challenges while supporting its expansion as a global mobility company. She also provides strategic guidance in areas such as global transactions, cybersecurity, privacy, government and regulatory investigations, complex litigation, labor and employment and intellectual property, among others. She serves as an advisor to the TMNA Executive Committee and is a member of the company’s global leadership team. Ms. Rogers is a founding member of the Center for Women in Law at The University of Texas School of Law, which is devoted to the success of the entire spectrum of women in law. In recognition of her leadership in advancing diversity and inclusion in the legal profession, she received the 2016 Legacy Award from the Brennan Center for Justice at New York University School of Law. In 2017, Ms. Rogers received the Burton Foundation Legend in Law Award and was named “GC Impact Player of the Year” by D CEO. Black Enterprise has also recognized Ms. Rogers as one of its “75 Most Powerful Women in Business” (2017) and “300 Most Powerful Executives in Corporate America” (2018). Ms. Rogers holds both a Bachelor of Arts degree in journalism and a Juris Doctor degree from the University of Texas at Austin. 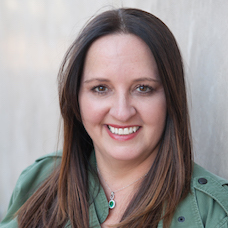 Katee Van Horn is the CEO of Bar the Door Consulting. She is an HR strategist and international keynote speaker focused on diversity & inclusion. Katee uses her 20+ years of experience to partner with organizations on strengthening their inclusive cultures by showing them how to build a diverse team where everyone succeeds. Katee helps organizations design a practical solution for their hardest diversity and inclusion challenges. Learn more about her work at: www.barthedoor.com. David Long started his automotive career at Carlisle Lincoln Mercury in Clearwater, Florida. Since that time, Mr. Long has built an impressive career in dealership operations. 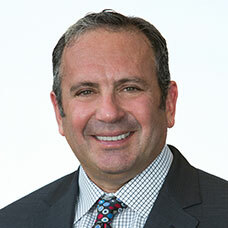 He has automotive industry experience in a multitude of leadership roles including general manager, executive general manager, owner and operating partner, director of variable operations, and group used vehicle director and co-creator of a Buy Center at the Del Grande Dealer Group in San Jose, California. The Niello Company utilized Mr. Long as an expert consultant in reorganizing their Pre-Owned business model. In June of 2018, Mr. Long was hired by Rick Niello to become the vice president of operations for The Niello Company. Mr. Long is a skilled public speaker and passionate about training. He travels the globe speaking to organizations, such as the European Dealer Association, Carbraxx, Trader Canada and many other groups around the world. With 30 years in the automotive industry, Mr. Long’s career accolades are measurable. He is a NCM and Dealer Academy graduate, salesperson of the year in one of the country’s number one volume dealerships, and one of twenty general managers across the country selected for the GM Success Profile Program. He is a five-time winner of the Cadillac Master Dealer Award and number one in customer satisfaction in sales and service for Cadillac Motor Division. Mr. Long’s AutoNation store advanced from sixty third to fourth in the southeast in one year. His store was number one in employee satisfaction (out of 357) and won the Most Improved Dealer award in sales, profit and customer satisfaction back to back years. He is a three time Mark of Excellence award winner and President’s Award winner. Mr. Long was a member of the Travis Regional Armed Forces Committee and served as advisory board member and chair for The Salvation Army in the Bay Area. His role on the Board of Directors for The Yippee Foundation in Solano County provided area youth real world skills and resources to succeed in life. David Long attended St. Petersburg College in Florida. David Rosenberg is the CEO of Prime Automotive Group, where he oversees more than 60 auto dealerships across 23 franchises. Since 2007, Mr. Rosenberg has also served as the CEO of Prime Motor Group, a successful family operated auto retail business with 3,500 employees serving four New England states of Massachusetts, Maine, New Hampshire, and Vermont. Mr. Rosenberg worked in every area of the dealership business including operations, inventory, and sales, providing him with a breadth of experience in the automotive industry. He grew up in the automotive business under the guidance of his father, Ira Rosenberg, who built the successful Ira Motor Group franchise of dealerships. In 2000, Mr. Rosenberg and his father sold their dealership group to Group 1 Automotive, where he remained with the new ownership. After working six years as the platform president for Group 1 Automotive, Mr. Rosenberg acquired the Clair dealership group, the beginnings of Prime Motor Group. In late 2017, Prime Motor Group merged with Capstone Automotive Group - creating Prime Automotive Group. Prime Automotive Group has dealerships reaching from Maine to Texas. Mr. Rosenberg earned his bachelor’s degree in administrative science from Colby College and his master’s degree in finance and real estate finance from Columbia University. 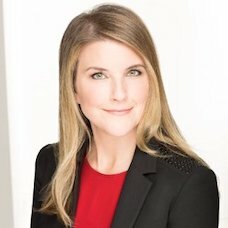 Meredith Guerriero (@mguerriero) is US head of partnerships at Pinterest responsible for the CPG, auto, entertainment and QSR industry teams. Ms. Guerriero is also the site lead for the Pinterest New York office overseeing operations and culture. Her team works closely with partners, helping them utilize Pinterest to solve business challenges and drive meaningful results. Prior to Pinterest, Ms. Guerriero built and led Facebook's sales efforts for the healthcare, grocery, politics and advocacy verticals. Prior to that, she spent ten years at Google, leading their sales and commercialization efforts for their programmatic offerings and leading their efforts for the automotive industry globally. Ms. Guerriero is a proven thought leader who has spoken at numerous conferences across the including Cannes Lions Health. She is currently pinning “she sheds", lazy rivers, and recipes. Faith Wandrie is the vice president of global supply chain management. She has over 35 years of automotive experience and has been with AAM for the last five, focused on leveraging organizational improvement through design and implementation of global supply chain strategies to reduce costs and improve cash flow. Prior to joining AAM, Ms. Wandrie was the global director of supply chain operations at Benteler Automotive—a role she worked up to (through positions in finance and operations), beginning in 1983 as an executive assistant to the NA President. 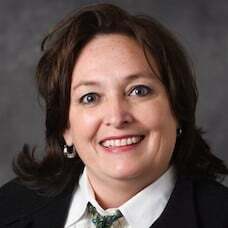 She also served in leadership positions at Faurecia and Henniges Automotive. 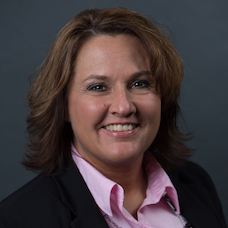 Ms. Wandrie holds two associates degrees, a bachelor of business administration from Davenport College of Business and is a graduate of the Lean Manufacturing Certification Program at the University of Michigan. Jason Stein directs the editorial and commercial operations of one of the world’s largest automotive business-to-business media organizations. 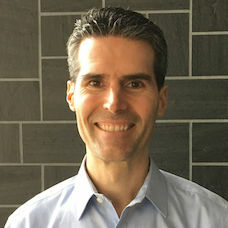 Mr. Stein joined Automotive News as a Detroit-based reporter in October 2003 before transferring to Automotive News Europe’s Munich, Germany, headquarters in 2005. Two years later, he was named publisher or Automotive News Europe, a responsibility that included management of the news and commercial operations, covering 32 European countries as well as marketing, digital, audience and event activities. In 2009, Mr. Stein moved back to Detroit to oversee the editorial operations of Automotive News. In 2012 he added the responsibility of associate publisher, then publisher in 2013. In 2016, he oversaw the launch of two new media products: Automotive News Canada, a digital media outlet and monthly print magazine; and Fixed Ops Journal, a bi-monthly print magazine focused on auto retail operations. Mr. Stein holds a degree in political science from the University of Western Ontario in London, Ontario. 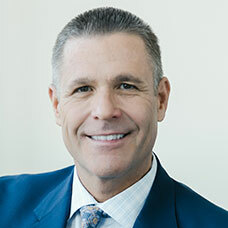 Jim Lentz is chief executive officer of Toyota Motor North America, Inc. (TMNA) and a senior managing officer of parent company Toyota Motor Corporation (TMC), located in Japan. In this role, Mr. Lentz oversees all business for Toyota’s North America region, including manufacturing, research and development, sales, marketing, product support and corporate resources. Mr. Lentz's vision of uniting all of Toyota’s affiliates across the U.S., culminated in moving the company’s regional headquarters to Plano, Texas in 2017. Most recently, Mr. Lentz was president and chief executive officer of Toyota Motor Sales, U.S.A., Inc., (TMS), president of Toyota Motor Engineering & Manufacturing, North America, Inc. (TEMA), senior vice president of Toyota North America (TMA), and served in a global advisory capacity as managing officer for TMC. Prior to that, Mr. Lentz served as president and chief operating officer and executive vice president of TMS. Mr. Lentz previously held several executive positions, including Toyota division group vice president and general manager, where he oversaw all sales, logistics and marketing activities for Toyota and Scion regional sales offices and distributors. He also served as group vice president of marketing for the Toyota division and vice president of Scion, responsible for the initial launch of a new line of vehicles designed for the next generation of new-car buyers. Mr. Lentz joined Toyota in 1982 as the merchandising manager for its Portland region, where he later became the distribution manager and field operations manager. 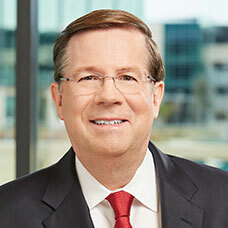 Mr. Lentz serves as secretary on the board of directors for The Global Automakers, chair of the American Automotive Alliance, and is a member of the executive advisory board for Daniels College of Business at the University of Denver (DU), his alma mater. He was named “Marketer of the Year” by Advertising Age in 2006, an Automotive News “All Star” in 2007, honored at “Industry Leader of the Year” in 2014 by the Automotive Hall of Fame, and recently was named an All Star by Automotive News in 2017. 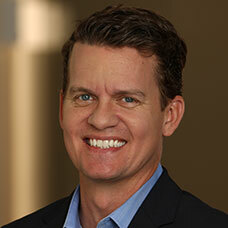 Mr. Lentz earned a bachelor's degree in marketing and economics and a M.B.A. in Finance from DU. Kim Williams is executive director of global quality, North America for Tenneco’s Clean Air Division. She is responsible for developing the company’s quality strategy and implementing systems and processes globally to drive customer satisfaction. Ms. Williams has more than 25 years’ experience in global manufacturing and operations for the automotive industry. During her career, she has helped manufacturing sites throughout North America deliver safety, quality, delivery and cost targets, while maintaining compliance with environmental regulations for global OEMs. Before joining Tenneco, Ms. Williams served as vice president of manufacturing for Calsonic Kansei, a tier one automotive supplier. There, she held a variety of leadership roles, including serving as the first female plant manager during her tenure. Prior to that, she worked in roles of increasing responsibility in manufacturing operations for General Motors’ Powertrain facility in Spring Hill, Tenn.
Passionate about promoting diversity in the automotive industry, Ms. Williams serves on the board of directors of both the Southern Automotive Women’s Forum as well as the Tennessee Automotive Manufacturers Association. She is also president of the Manufacturing Engineering Advisory Board at Tennessee Technological University and an adjunct professor for manufacturing studies there. Ms. Williams was also named by Automotive News in 2015 as one of their 100 Leading Women in the North American Auto Industry. Kim Williams earned a BS in Industrial Engineering Technology from Tennessee Technological University and an MS in Manufacturing Management from Kettering University. 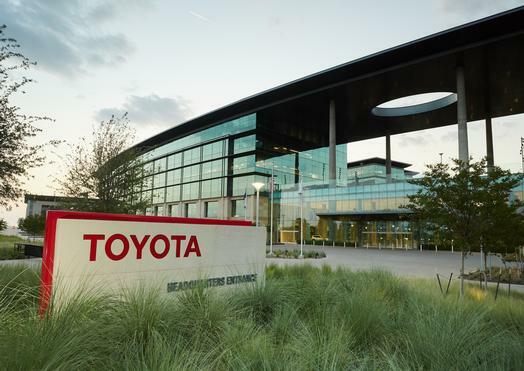 Officially opened in July 2017, Toyota Motor North America’s new corporate campus on 100 acres in Plano supports the company’s One Toyota vision with spaces that intentionally create and foster a transparent environment, encourage the fun of discovery, and make Toyota a place where people want to come to collaborate and innovate. The campus achieved LEED Platinum certification from the U.S. Green Building Council in September, 2017, demonstrating Toyota’s commitment to sustainability. Please note: There is NO PARKING allowed at Toyota Motor North America’s corporate campus. All attendees, even if local, must arrive by buses, which will pick up and drop off from the nearby Westin Stonebriar hotel. Rates are in effect through Friday, April 19, 2019 or until the block sells out. The rooms fill up fast, so book your rooms early! To make your hotel reservation at the special rate, please click here. Please note: There is NO PARKING allowed at Toyota Motor North America’s corporate campus. All attendees, even if local, must arrive by buses, which will pick up and drop off from the hotel. Register now for the Livestream! The Leading Women Dallas Conference is sold out, but you can still benefit from all the valuable content our speakers and panelists will share. Register for the Livestream and watch the entire event on May 14 right from your desktop. Or select the group option and invite your colleagues to log in as well. It’s going to be a great event – we hope you can join us, virtually! Registrations may be transferred to a colleague at no additional charge. We ask that you notify us in advance so that we can amend our records. If you must cancel your registration, please advise Automotive News in writing. There is a $175 handling fee for cancellations received on or before April 30, 2019. We regret we cannot process any refunds for cancellations after that date. Registered delegates who fail to attend the Automotive News Retail Forum will be liable for the full fee. Toyota has been a part of the cultural fabric in the U.S. and North America for more than 60 years, and is committed to advancing sustainable, next-generation mobility through our Toyota and Lexus brands. During that time, Toyota has created a tremendous value chain as our teams have contributed to world-class design, engineering, and assembly of more than 38 million cars and trucks in North America, where we operate 14 manufacturing plants (10 in the U.S.) and directly employ more than 47,000 people (more than 37,000 in the U.S.). Our 1,800 North American dealerships (nearly 1,500 in the U.S.) sold 2.8 million cars and trucks (2.4 million in the U.S.) in 2018 – and about 87 percent of all Toyota vehicles sold over the past 16 years are still on the road today. Learn more. Dealer Financial Services at Bank of America Merrill Lynch has the power to help you drive success in a competitive landscape. From shifting ownership trends to new technologies and fuels, the automotive industry is transforming fast. We’ve been helping dealerships successfully adapt for over 90 years— drawing on the industry experience, solutions and strength of Bank of America Merrill Lynch. Succeeding in an ever-changing environment requires a consultative approach. What would you like the power to do? automotiveMastermind is a leading provider of predictive analytics and marketing automation solutions for the dealerships and manufacturers. Market EyeQ by Mastermind is the first-ever automotive sales platform for dealers that identifies, communicates with, and helps close every buyer your market, whether they have bought from you before or not. Our market-leading data, sophisticated marketing, and in-depth dashboard plus expert consultative service team give you the details you need to close more deals every single month. Mastermind is a business unit of IHS Markit and has headquarters in New York City and San Francisco. Visit automotiveMastermind.com for more information. Solera | AutoPoint is everything you need. IT’S A BOLD STATEMENT, BUT WE’LL PROVE IT TO YOU. Our solutions are the result of years spent studying dealer needs and solving the challenges of the retention cycle. Our Marketing, Service, Mobility & Logistics and Titling solutions cover every touchpoint you may have with a customer—from the time they start their buying journey to registering the new vehicle to every maintenance appointment along its lifecycle. We save you time with efficient, intuitive solutions that maximize retention while minimizing effort for your business. Our solutions are there working for you, from sale to salvage. KAR Auction Services, Inc. is a global FORTUNE® 700 company that powers the world’s automotive marketplaces through innovation, technology and people. Our team of innovators thrive on an entrepreneurial mindset to help the world’s largest automotive manufacturers, insurance companies and dealer groups buy, sell and trade used vehicles. Last year we facilitated the sale of more than 5.95 million units valued at over $40 billion through our physical, online, and digital/mobile auction marketplaces. 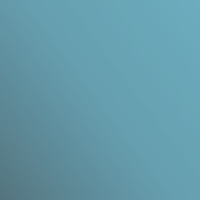 Follow us at @KARspeaks on Twitter for the latest company news and insights.